Welcome: Joke ~ Bag It! 'Bag It' is the name of a shop that sells very expensive bags. 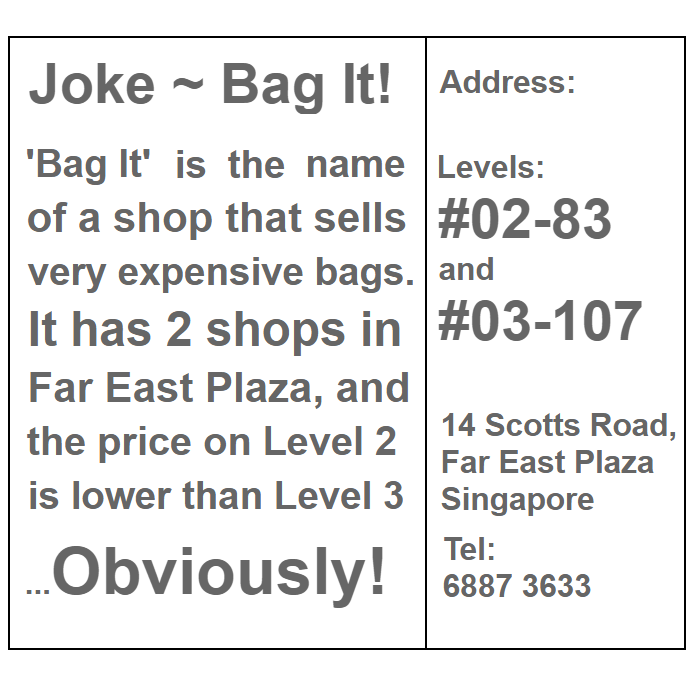 It has 2 shops in Far East Plaza, and the price on Level 2 is lower than Level 3 ...Obviously!